We are a well established yoga school situated by the lakes and “Dronning Louises Bro” overlooking the lakes. We have two beautiful yoga rooms and an inspiring Yoga scene for beginners and advanced students alike. We only employ the best trained yoga teachers with years of experience and all teachers have international certificates in Iyengar®Yoga – your guarantee of good and high quality yoga lessons. The school was founded in 1986 as Jette started YOGA I CENTRUM with two good colleagues in the same area of ​​Nørrebro. Claus began as a teacher in 1989 and in 1991 we moved into the city center in “Fiolstrædet”. In 1995 we changed our name to the YOGA SCHOOL and then became entirely a school for Iyengar®yoga – simultaneously we also moved to the oldest part of the city in “Snarens quarter” in “Knabrostræde” and “Magstræde”. That was our location until it was time for us to open B.K.S Iyengar®yoga Center Copenhagen so on May 1st, 2009 we moved back to Nørrebro and our present location. We might have the best location in the city on “Peblinge Dossering” in a historic building in the old “Church of Daniels” a former spiritualist church. Originally the industrial building housed “Java Coffee” in Copenhagen where the Java coffee beans were roasted and then driven out by horse-drawn carriage – so you might say that this place has always been a uplifting place. Today the coffee can be enjoyed at our neighbours either at “Kaffesalonen” or in the nice laid back basement cafe “Social” in no 4 which by the way also have great salads/sandwiches. Our classrooms are an experience in itself. Hall is the old church with 6 meters high ceilings and beautiful church windows ideal for yoga. On the first floor we have a smaller room with lake view, where you can experience to be in “Vrksasana” and look out over the lake with swans. In our high basement you will find the changing room and a large lounge area which creates a nice setting for our cozy Yoga space. Was born on December 14, 1918 and died. August 20, 2014 at the age of 95 years. BKS Iyengar who was called “The Michelangelo of yoga” and “King of the yogis” and claimed one of the world’s 100 most influential people by Time Magazine in 2004. 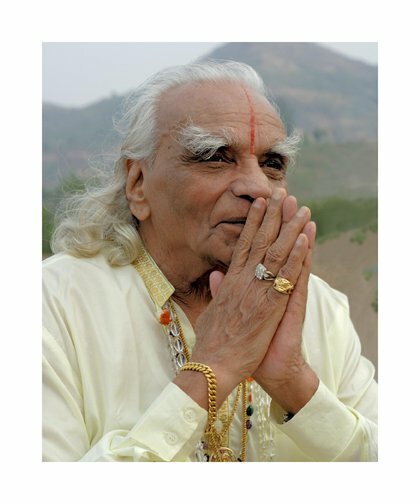 BKS Iyengar is universally recognized as one of the most important yoga teachers of this era. He brought yoga to the West with his unique, creative and very inspiring teaching style in the 70s and was thus an instrumental part of the beginning of today’s explosive growth of yoga. His landmark book Light on Yoga, called “Yoga Bible” has been continuously in print since 1966 and is the source for generations of yoga students. By bridging the traditional divide between hatha yoga, often considered to be a mere physical form, and the other types of yoga, which focuses on the intellect, devotion and meditation, BKS Iyengar have emphasized the authentic spiritual nature of yoga to the delight of hundreds of thousands of yoga practitioners worldwide. The school was founded by Jette Bering and Claus Wittig, which are the two main teachers at the school. Both have more than 25 years experience as a yoga teachers and been completely committed to the work of BKS Iyengar since 1996. Additionally, you can also meet: Pernille Krejsgaard teaching “Yoga Gentle”. Welcome to Iyengar®Yoga which has deep roots in the classical yoga of Patanjali and yet as a method is very modern, straight forward and down to earth. 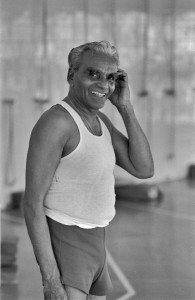 Precision BKS Iyengar discovered through his own intense practice and teaching that without precision yoga poses can only be maintained through constant physical exertion. Not only is constant physical exertion exhausting but any lack of precision also creates a much greater risk of developing injuries and imbalances both in the body and the mind. Through precision and meticulous generated physical stability you will discover how physical stability and mental stability are closely linked. Props With a good sense of direction one makes faster progress in the asanas. Through the use of simple props such as blocks, blankets, belts you can become much more attentive to key aspects of an asana. You can also benefit from using props to work with stiffness and imbalance, lack of strength or injuries. By the use of props everyone can get the most out of their practice regardless of age and condition. Sequencing Also called vinyasa krama. Through his more than 70 years of yoga practice, BKS Iyengar has developed a number of highly effective principles to how different types of asanas are best introduced and put into sequences. The asanas are then put into a number of sequences of increasing difficulty based on their anatomical, physiological and mental effects on the body and mind. You will experience how it is possible to reach much more difficult poses when the sequencing is well done. At the same time this increases safety because the sequences can be continuously adapted to the age, needs and conditions of any student. Stability BKS Iyengar describes his method as “meditation in action”, but for yoga poses to be both physically and mentally effective, they gradually have to be kept for longer periods of time. This increases the beneficial effects on the internal organs and the nervous system hence your yoga practice will bring better results because asanas that are both anatomically safe and stable will allow the mind to become relaxed and focused at the same time.